In the modern world, skills that were once commonplace have become a treasured ability. Things like knowing how to garden, cook, sew, fix your vehicle and other tasks have become a talent. One skill that has fallen by the wayside is the basic knowledge involved in first aid. If you have ever been employed in a childcare situation, you know that first aid and CPR are required of all employees. Unfortunately, most people are able to completely avoid this training for most of their life and go without this vital knowledge. Knowing basic first aid skills can help you save lives and greatly ease your worry as a parent. Included here are a few reasons to take first aid training. 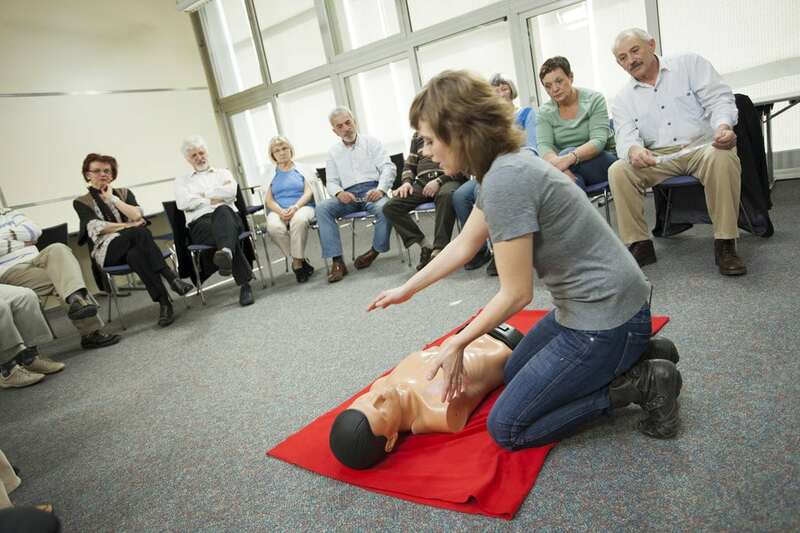 The most obvious reason for pursuing first aid training is that it can help you save lives. Emergency situations are stressful and chaotic, but having the training you need to help someone can help ease the panic for everyone involved. Something as simple as knowing how to stop bleeding could feasibly save a person’s life or at least lessen the severity of their injuries. In a world with vast quantities of unskilled laborers, every skill you have can work to your advantage. Getting a job in today’s market can be, on a good day, a difficult endeavor. One key to making yourself appealing to employers is in having a variety of skills and knowledge to offer your employer. Having current first aid training can allow you to get a step up on your competitors in most fields. For something that only requires a couple of hours once a year, it could really benefit your future career prospects. In some countries, like Australia, first aid training has become a requirement for employment, and you will need to be up-to-date and prepared to act in the event of an emergency. With a growing dearth of individuals who have little, or no, skills, finding things that give you self-worth and value are critical to your personal happiness. The more things you know, the more valuable and confident you may find yourself, creating fulfillment in your life. While there are many different skills and talents that can add value to your life, first aid training is one of the most useful. For any new parent, bringing home your child from the hospital can be exceedingly stressful. You are sent home with a brand-new human you just met and the baby’s needs can seem overwhelming. In the event of a choke or cough, some parents will panic. It can give you great peace of mind to have the training to deal with any problems should they arise.